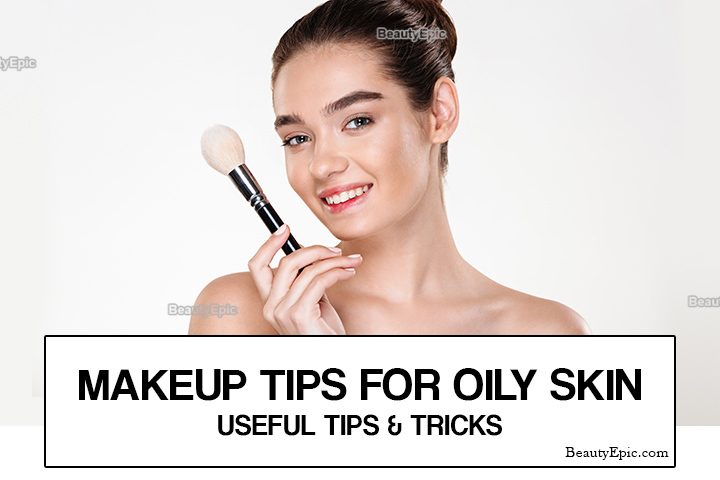 In this article, I will give you makeup tips for oily skin that will last you a whole day. Before thinking of how you’ll put on makeup on your oily face, start with exfoliating your skin at least once a week. Exfoliation helps in removing dead skin which smoothens your face. Also, use a gentle cleanser once a day for better results. A primer is what your oily skin needs. It acts as protection which prevents your skin pores from being clogged by makeup. 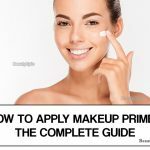 After cleaning your face, apply a primer before you put on foundation or any other makeup. When buying a prime, make sure it has no silicone. Silicone-based products cause allergic reactions that can cause breakouts. Go for primers that have salicylic acid which treats acne. 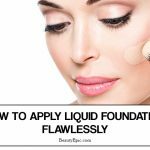 Try applying primer on top of your foundation; it does a good job. Getting a foundation that fits an oily skin is an uphill task. You are supposed to get a foundation that is oil-free and long-lasting. Many foundations easily melt off forcing you to do touchups repeatedly. The solution to this is, get a powder based foundation. It will make your skin appear less shiny. Also, you can go for liquid foundations, especially water based ones or mousse foundation. Face powder is among the best makeup solutions for your oily skin. Adding another layer of powder on top of the foundation can help keep your makeup for long. Many people don’t know whether to use loose or pressed powder, okay, they all work well on oily skin. But, it’s advisable to apply loose powder, as it tends to soak more oil. Use bolt paper to gently rub your face, it absorbs oil without ruining your makeup. Whether you want a full-on glam or a natural appearance, don’t apply heavy layers of foundation, concealer or any other beauty product. Apply thin light layers, adding more on areas that need more coverage. Thin layers of makeup will last longer compared to thick layers which will give you a “cakey” look. Mineral makeups work perfectly on oily skins. They are made of inorganic minerals and are usually oil free. They contain titanium dioxide and zinc oxide which protect your skin from harmful sun rays. Also, the zinc element in these products helps to keep your makeup longer. Instead of using shimmer blushes, use matte blushes. Because makeup tends to melt quickly on oily skins, use powder blushes that can stay for long compared to cream blushes. Although, if you opt to use cream based blushes, make sure you set them using a translucent powder. Even if you aren’t a fan, try using waterproof mascara if you have oily skin. Although waterproof mascara is stubborn to remove and sometimes clumps, you’ll be happy when your makeup stays intact for a whole day. When applying your mascara, wiggle the mascara wand when applying on your lashes to prevent clumping and disperse it well. It doesn’t matter how matte or flawless your makeup appears in the morning, as long as you have oily skin, you’ll spot shine once the sun bites. Blot paper can help lift oil from your face. Others have a powder that will soak up the oil. The secret to using blot papers is passing them gently on the places that appear oily without interfering with your makeup. It’s so annoying to spend your time doing makeup but my midday you look worse than how you woke up. 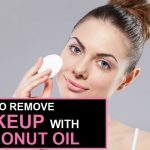 If you have oily skin, you can still do your makeup and spend a whole day looking gorgeous if you follow these simple tips. 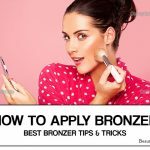 People with oily skins go through a lot, from dealing with the midday sun and finding the best make up solution for their skin. In this article, I will give you makeup for oily skin that will last you a whole day.